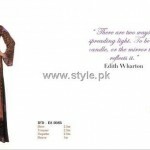 Ittehad Textiles just revealed its new embroidered winter dresses 2012-13 for women. 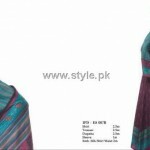 Ittehad embroidered winter dresses 2012-13 consists of suits that have embroidered and printed shirts. The dupattas are printed and the trousers are plain. The dresses include some extra stuff also like sleeves, panels, borders and so on. 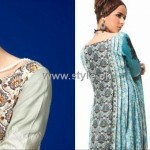 The designs of Ittehad embroidered winter dresses 2012-13 are a blend of traditional and modern motifs. 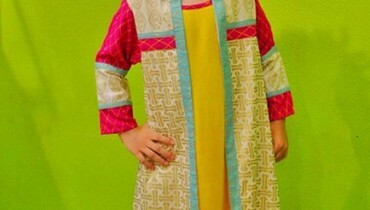 Casual wear dresses can be made out of the fabrics in this new collection by Ittehad Textiles. The designs have been created as per the requirements of different age groups. Ittehad Textiles is a project of Ittehad Group. It was launched several years ago. Right now, it is one of the respected textile companies of our country. The company offers textiles for men, women, kids and home accessories. Textiles by this company are of great quality and are offered at quite low prices. It launched many collections of women’s textiles in the past few days. These include its fall linen collection, retro cotton collection 2012, retro collection 2012 and cotton dresses 2012 for women. All of these collections consist of good quality fabrics for women. 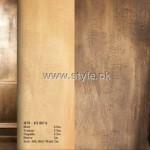 Currently, the company’s fabrics are offered at various retail outlets in Pakistan. Ittehad embroidered winter dresses 2012-13 can be seen in the pictures presented below. Only some of the pictures are given here. For viewing the full catalog, go to the Facebook fan page of Ittehad. The address of this company’s page on Facebook has been provided below. These dresses are in stores now. So, if you want any of the stylish dresses from among Ittehad embroidered winter dresses 2012-13, you can get them via a fabric store near you. You will most probably find them there since these fabrics are available at many fabric stores.